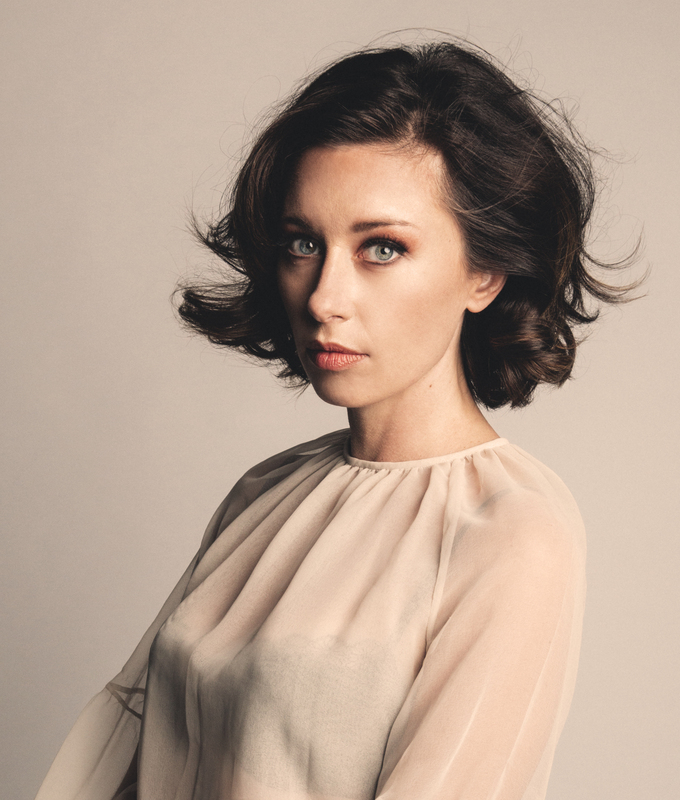 Throughout her career — a nearly decade-long run filled with three album releases, a career-shifting appearance and soundtrack for HBO’s True Detective, hundreds of shows on both sides of the Atlantic, and a sound encompassing everything from Americana to stark indie rock — Lera Lynn has balanced her fierce independence with a string of collaborations. She's written songs with T Bone Burnett and Rosanne Cash. She's recorded albums with full bands (2014's The Avenues, hailed by outlets like Rolling Stone and American Songwriter) and smaller lineups (the experimental, NPR and New York Times-approved Resistor, which Lynn co-produced at her Nashville home). On her fourth album, Plays Well With Others, she teams up with eight different duet partners and seven co-writers, resulting in her most diverse, collaborative work to date. Plays Well With Others is a unique duets album — one in which nearly every song is completely co-written and co-sung. Peter Bradley Adams, John Paul White, Dylan LeBlanc, Andrew Combs, Rodney Crowell, Shovels & Rope, JD McPherson, and Nicole Atkins all make appearances, working alongside Lynn not only to perform these songs, but to create them, too. "Songwriting can be such a personal process; in the past I have tended to do it alone," Lynn admits. “With this record, I wanted to get outside of my own writing corner. I have access to a great community of writers and singers in Nashville, and it became an exciting challenge to sit down with some friends and say, 'Let's write a duet — one that maybe hasn't been written before — and then record it together.' This was an important thing for me to do as an artist: to open myself up to other people and have some fun.” Lynn recorded Plays Well With Others at John Paul White's studio, Sun Drop Sound, in Florence, Alabama. There — with Lynn, White, and the Alabama Shakes' Ben Tanner all serving as co-producers — she tracked nine songs in a series of live takes. Looking to add some sonic framework to an album whose tracklist was vast and varied, she only used acoustic instruments, layering upright piano, strings, percussion, acoustic guitars, and creative sounds into arrangements that nodded to artists like Roy Orbison, George Harrison, Neil Young, John Lennon and Tom Petty. The result is an album that's at times more stripped-down than The Avenues and far less amplified than Resistor, while still shining a light on Lynn's striking voice and unique blend of American music. Appropriately, the nine songs on Plays Well With Others tackle issues of the heart, from love to lust to loss. On the album's haunting opener, "Same Old Song," Lynn and Peter Bradley Adams swap harmonies from opposite sides of a broken relationship, both trying to summon up the courage to sever ties completely. "What is Love" — a gorgeous folk song recorded with Dylan LeBlanc — finds its two singers questioning their own worth, while the Rodney Crowell collaboration "Crimson Underground" unfolds like a conversation between the self and the voice of temptation. There's also a coed cover of TV on the Radio's "Wolf Like Me," performed with Shovels & Rope; a tribute to the glory days of 1960s Roy Orbison with Nicole Atkins; a kinetic, psychedelic "Breakdown" with Andrew Combs; and a pair of duets with John Paul White, who first sang with Lynn during a handful of shared shows in 2017. “John’s a great vocalist and really great harmony singer, which makes him the perfect duet partner," Lynn says of John Paul White, who kicked off his career as one-half of the Civil Wars. "During our tour together, we started covering ‘Almost Persuaded,' which I'd heard Conway Twitty and many others perform. By the time we recorded the song, we'd also written 'Lose Yourself', which is a song about the love-strickens’ last attempt at retaining their fleeting individual identity. With Plays Well With Others, Lera Lynn cements her own identity as both creator and collaborator. On an album filled with Grammy winners, country icons, folksingers, and Americana heroes, it's still her star that shimmers the brightest, shining light on the newest phase of an eclectic, ever-expanding career. Hätte vor 20 Jahren jemand gesagt, dass man als junge Musikerin gegen den Strom des deutschen Musikbusiness schwimmt, hätte man wahrscheinlich müde gelächelt. Deutsch ist doch heute jung, hip und spricht uns an. Doch Hanne Kah's Musik berührt und kommt einem so nah, als wäre es unsere Muttersprache in der sie schreibt und singt.